Those St Martins lads went out last night and hurled the socks off Naomh Eanna of Gorey, similar to how they have dominated to other opposition in the previous rounds. Their victory yesterday was symbolic of their performances all year. Firstly, it is not unusual for county teams to feature several players from one club if that club is performing at a higher standard than others within the county. The Wexford senior camogie team have won four All Ireland titles since 2007. If you look through the teams, they are dominated by the standout club in Wexford throughout that period, Oulart The Ballagh and that is for a very good reason. The original article questions and undermines the character of the manager Tom Mullally and his selectors. One might argue why doesn’t that keyboard warrior put his or her self forward for such positions if they rate their integrity so much higher than the individuals involved with the county u-21s? Last night’s Premier u-21 hurling result put that article to bed, and now I hope those lads enjoyed their victory after proving a point to the various critics. 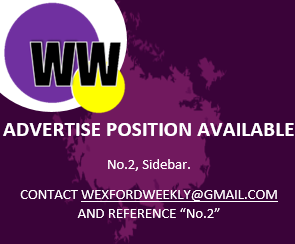 This article was submitted to Wexford Weekly via email at wexfordweekly@gmail.com. If you would like to submit an article email us or click here. Next PostNext Can The Rapparees Topple The Resurgent Oulart The Ballagh?